With support from Arts Council England, OVADA built 5 individual studios at the Warehouse in the centre of Oxford. Our building has 24 hour access and is well connected to many bus routes and only minutes from Oxford Rail Station. We also have a large off-street loading area with wide doors. The studios have both natural and electric lights, power sockets and Wi-Fi. They are lockable, insulated and can be painted inside to suit your practice. Each studio-holder also benefits from communal facilities including access to a messy sink with running water and a kitchenette. Based within OVADA’s warehouse, studio-holders become part of a vibrant exhibition and education space, and have opportunities to participate in Open Studio events, workshops and collaborations with other practitioners. Please note Oxford Hackspace has vacated OVADA studios and moved into larger, purpose-built facilities at Oxford Centre for Innovation (OX1 1BY). To register interest for future availability please send your name by email to: [enkode]info@ovada.org.uk[/enkode] We do not hold a formal waiting list however we keep a list of artists who have registered interest and contact them directly when a studio becomes vacant. 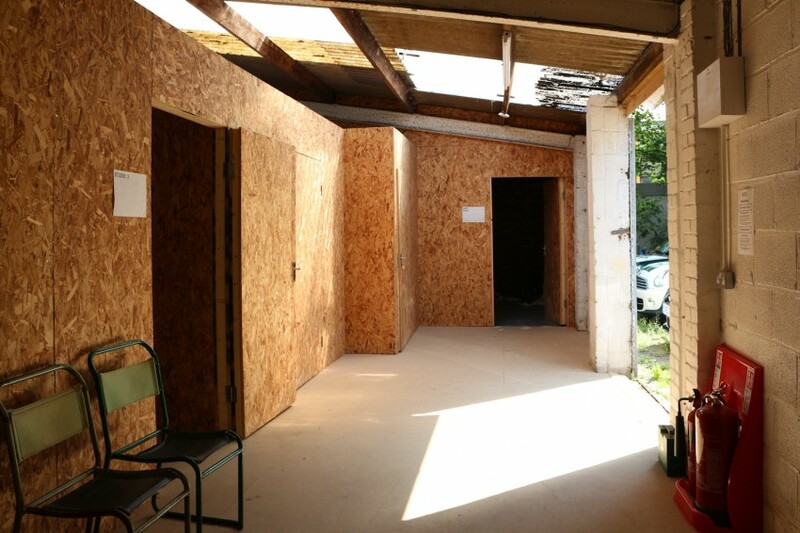 OVADA would like to give special thanks to our dedicated team of volunteers and the Environmental Information Exchange for kindly advising upon good environmental practice during the studio build.